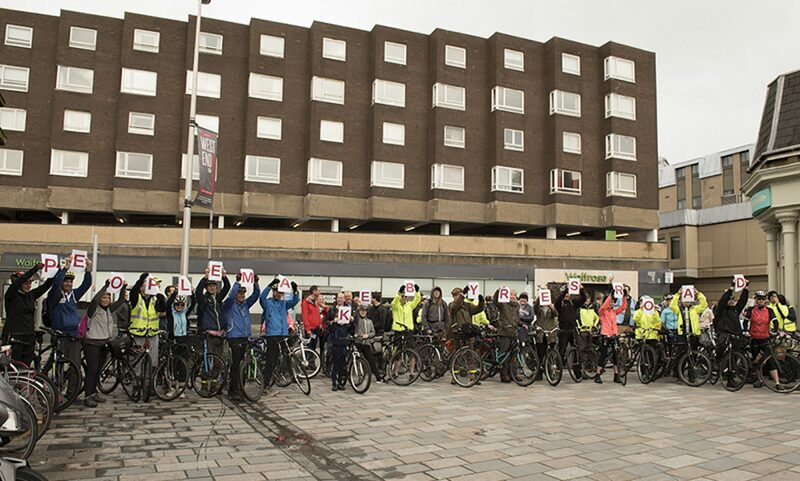 Further to this bad news we have been told by Councillor Robert Brown, LibDem, that the Cycling Partnership is safe – for now – but we need to be vigilant and oppose any further attempt. South Lanarkshire Council have for some time had a Cycling Partnership to promote and progress cycling issues within the area covered by the local authority. GoBike has been represented on this Partnership. The new council, elected on 04 May, now propose to merge it into the Sustainability Partnership! If we are going to get anything like 10% of journeys by bike by 2020, which is still the Scottish Government’s aim, then cycling must be given more prominence, not less. This is a backward move. If you live in South Lanarkshire please e-mail your councillors and ask them not to proceed with this regressive move. You can find the councillors for your ward here but do include Councillor Robert Brown in your list of addressees. He has been prominent in support of cycling and active travel in South Lanarkshire and spoke at our Hustings last month. Next PostNext GoBike ride Sunday 04 June – over the hills to Lochwinnoch, but flatter on the return!